Nutiva has become the ‘go-to’ brand for many who seek quality organic nutrition and supplement products. 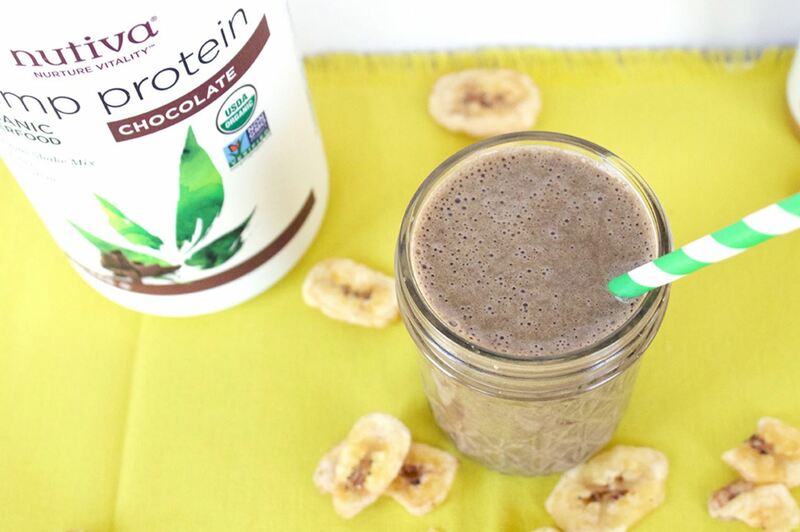 The Nutiva Organic Hemp Protein Powder is an excellent example of how Nutiva focuses on quality over quantity. This product, along with the other Nutiva products, truly resonates with how healthy supplements and foods should be made. 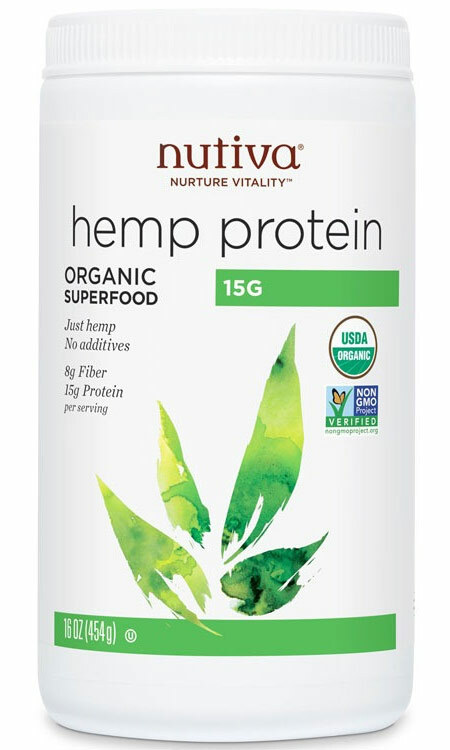 Nutiva’s Hemp Protein is among the best protein powders on the market today and offers a powerful amino acid profile full of essential, non-essential, and branched-chain amino acids (BCAAs). Nutiva’s Organic Hemp Protein Powder doesn’t have any added fillers is Project Non-GMO certified, Soy & Gluten-free, and contains only one ingredient—Organic Hemp Protein. This supplement is one of the best protein powders we’ve ever tried and has become a wildly popular alternative to whey protein powders. If you are serious about the quality of your protein supplements, you need to get serious about the many benefits of Nutiva hemp protein. Your body builds proteins through an intracellular process fueled by amino acids. Without a steady supply of amino acids, your body begins to break down existing protein structures like muscles to satisfy its needs. This catabolic process can cause long-term muscle loss, and even cascade into more serious health issues. Ideally, you should get as much protein as you need from foods in your diet alone, but circumstances and some medical conditions can make that difficult. Supplements like Nutiva’s organic hemp protein powder offer a powerful means of targeted nutrition that is convenient and consistent. If you are working out and want to limit muscle breakdown as much as possible, it’s easier to bring a protein shake with you to the gym than it is a bowl of rice. Convenience sells most people on protein powder, but the quality of ingredients is what leads many to Nutiva. 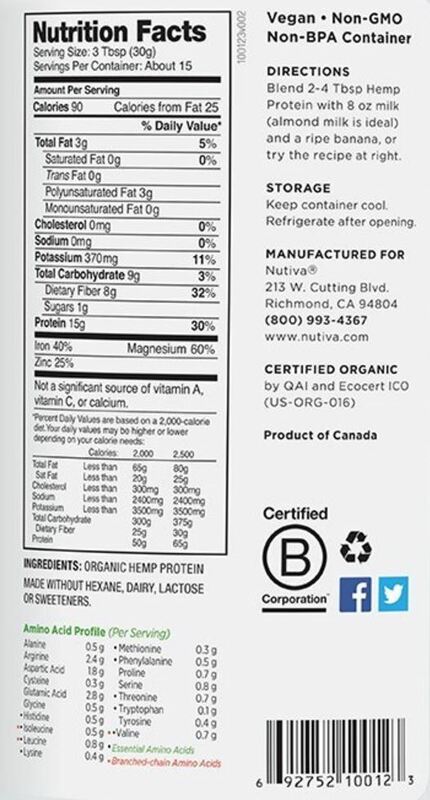 Nutiva’s organic hemp protein contains 18 amino acids, including the BCAAs Isoleucine, Leucine, and Valine. These powerful branched-chain aminos have been shown to help improve your body’s ability to synthesize protein! Nutiva’s organic hemp protein is processed without the use of petroleum products, is free of any residual hexane compounds, and has never seen the first drop of toxic pesticides like Glyphosate (RoundUp). These critical nutritive factors often go overlooked by other brands that are obsessed with total amino acid content alone. The FDA’s GMP guidelines for supplements help ensure a certain level of quality but Nutiva takes things to the next level. Numbers are important, but they aren’t everything. For example, 5% more amino acids by weight aren’t worth a pesticide-laden product sourced from GMO plants, that’s been brutalized during processing. 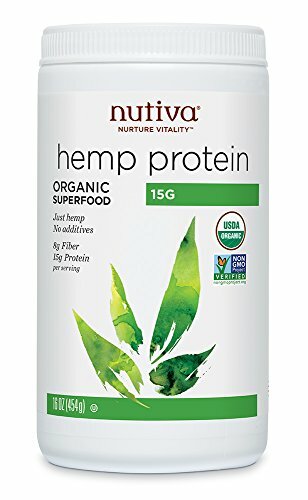 The Organic Hemp Protein Powder from Nutiva has a very robust profile of amino acids but also has a tremendous amount of focus placed on ensuring maximum ingredient quality as well. Nutiva Hemp Protein Powder is certified Organic & non-GMO, cold processed, chemical free, non-irradiated, and is sold in a BPA-Free container. This product truly illustrates Nutiva’s awareness of how important quality ingredients and responsible manufacturing are to consumers now. Hemp protein powders are made from the seeds of hemp plants. Hemp protein is notable for many reasons, one being that it contains high levels of the fatty oils Omega 3 & Omega 6 in a 3:1 ratio. These oils have shown the ability to offer many health benefits such as boosting brain health, stabilizing cholesterol levels, and reducing the risk of cardiovascular disease (R). Adequate levels of protein are critical to preventing a wide range of health issues. Protein is an essential part of any diet and is used by your body to help facilitate many numbers of vital processes. Hemp products may contain some traces of THC, but run virtually zero risk of showing up on drug tests. If this is a concern of yours, you should check out the TestPledge website which is dedicated to answering questions regarding the safety of hemp products, such as Nutiva’s Organic Hemp Protein Powder. Another strong selling point of hemp protein powder is that it contains up to 60% of Edestin and up to 35% albumin. Both of these compounds are renowned as being very easily-digested by the human digestive tract and also very beneficial to health. Edestin is considered by many to be the most-bioavailable protein of all (R). The levels of Edestin found in Hemp protein are the highest of any other plant-based protein. Another fun fact is that hemp is free of trypsin inhibitors and oligosaccharides—both known to make digestion of plant proteins more difficult on your body (R). This characteristic, among others, is why many consider help to the most bioavailable single-source plant-based protein. Nutiva products are readily available in many retail stores such as Whole Foods, The Vitamin Shoppe, and other regional grocery stores as well. To find stores near you that sell their products, visit the Store Locator page on the official Nutiva website. Some of the Nutiva products are likely to not be found in local brick and mortar stores but can easily be purchased online from retailers such as Amazon, PureFormulas, and The Vitamin Shoppe. Modern science has allowed us to examine the benefits of many different types of plant-based and animal-based proteins. Hemp protein has been found to offer a much more bio-available form of amino acids and omega oils than most other plant-based proteins, including rice protein. The amino acid profile of the Nutiva organic hemp protein powder speaks volumes to the overall nutritional power this product can pack into such a small serving. If you are serious about your nutrition, this product can help provide you with a powerful means of meeting your body’s demands. Protein powders are among the classes of supplements, along with HGH supplements, that often get ravaged by shady marketing practices. It’s important to pay close attention to your labels, and only purchase supplements from trustworthy brands. Nutiva offers super high-quality products that are very affordable and pay close attention even to the smallest of details. Nutiva's Organic Hemp Protein Powder offers a powerfully rich blend of natural plant-based amino acids and healthy omega oils. This powerful nutrient dense supplement is ideal for Vegan-friendly shoppers, and contains no other ingredients than organic hemp. This protein powder comes in a BPA free container, and is Project Non-GMO certified.